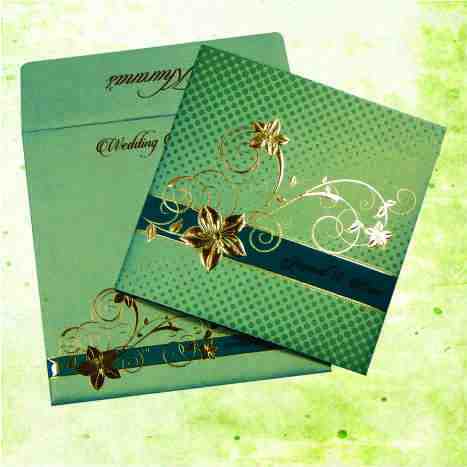 ENVELOPE : Blue Color 250 gsm Shimmery Finish Paper With Raised Silver Color Printing. MAIN CARD : Blue Color 250 gsm Shimmery Finish Paper With Silver Color Printing. Motif Decorated With Rhinestone/Kundan. I like very much this card.I like the colour and the form. It is very attractive and it is perfect if we want to say a thank you to a special person. This wedding card has a rich view and the price is also reasonable by the look. I like the design. The color is sweet. This card is one of a kind.